Can’t insert the MP4 files to PowerPoint on Mac? That happens and as common, not only to you! An MP4 file is a very complicated format that can be encoded in various ways and your PowerPoint just won’t be able to recognize all of them. Actually, there is a smarter way to get rid of the incompatibility issues quickly. If PowerPoint doesn’t let you insert a MP4 video file, you can fix the problem in a few steps and a modest amount of time. The simplest way to fix this situation is to take these three steps, which are described in this article. When you inserting MP4 video file to PowerPoint, you may get some errors like “Cannot play back the file. The format is not supported” and “PowerPoint couldn’t insert a movie from the selected file etc. Why can’t insert MP4 into PPT successfully? The main reason: version conflict and compatibility problem. MP4 is a popular container format, which has different codecs. Some codecs of MP4 are not supported by PowerPoint. And some old PowerPoint versions also can’t accept MP4 format well. 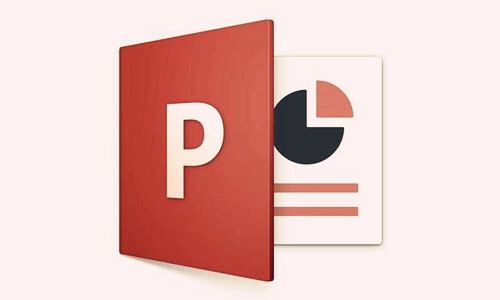 You can take a look at PowerPoint supported formats. Video: In PowerPoint 2013 and later, and in PowerPoint 2016 for Mac, for the best video playback experience, we recommend that you use .mp4 files encoded with H.264 video (a.k.a. MPEG-4 AVC) and AAC audio. In PowerPoint 2010, we recommend that you use .wmv files. These and other common file formats are listed in the tables below. Note: Windows media format (.wmv) requires a plugin named Flip4Mac for playback on Mac OS X. **Adobe Flash isn’t available in Office on a Windows RT PC. 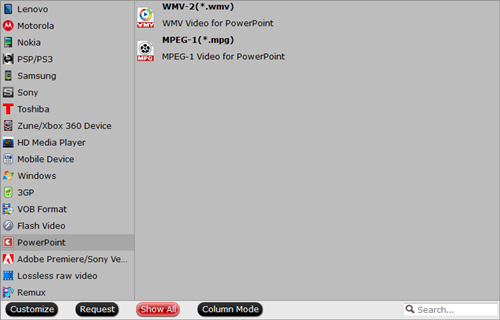 So for unsupported MP4 video, we prepare a program – Pavtube Video Converter for Mac for inserting MP4 to PowerPoint. This program is popular for its simplicity, efficiency and quality. With it, you can do conversion from not only MP4 to PowerPoint, but also MTS to PowerPoint, AVI to PowerPoint, VOB to PowerPoint, MOV to PowerPoint highly compatible video files with PowerPoint without quality loss. Just need to find "Powerpoint" categy and choose the format for powerpoint. So easy. Easy-to-use: Allow you to complete the conversion process with three simple clicks. The Windows version is compatible with Windows XP, Windows Vista, Windows 7, Windows 8, or Windows 10. << If you want to convert MP4 to PowerPoint on Windows, you can read this guide. Now you need to select PowerPoint compatible MPEG-1 video format from “Format >PowerPoint” category. Both PC and Mac can play MPEG-1 Video in PowerPoint. For Windows user, you can also choose WMV or AVI as the output formats; for Mac user, please select MOV or MP4 Video as the output formats. Finally, hit the “Convert” button at the bottom of the main interface to start the conversion. 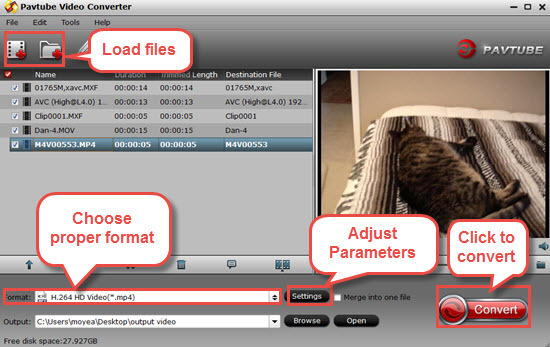 It will automatically convert MP4 to PowerPoint compatible video files. After the conversion, click “Open” to quickly find the converted movies. Then, PowerPoint will recognize, catalog, play and insert these MP4 files at ease.